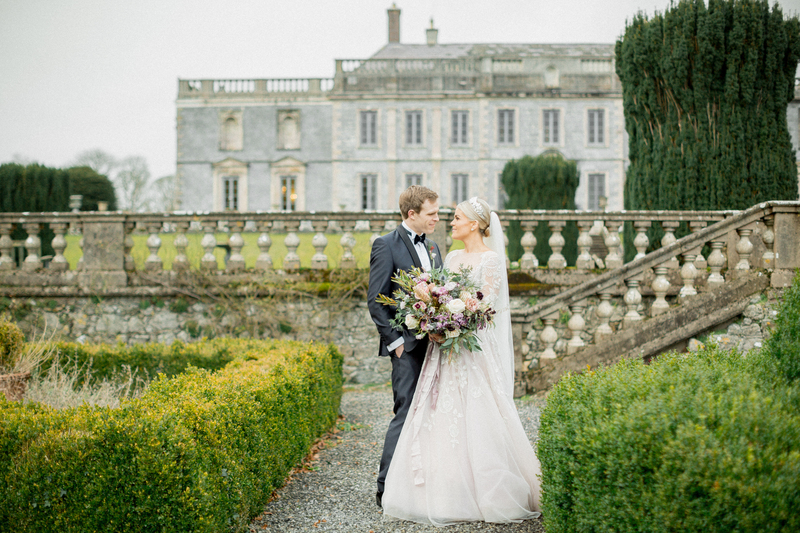 Rachael and Rory celebrated their wonderful day at Gloster House and Gardens in Co.Offaly. 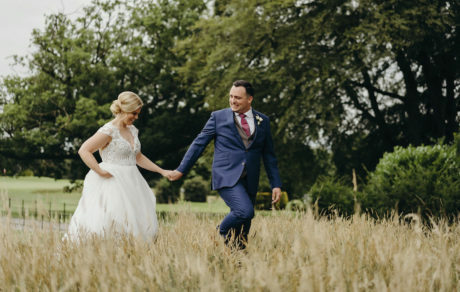 Filled with character and historical features, it made a truly unique and stunning venue for the happy couple and a wonderful space to style and dress using the Frog Prince Magic! 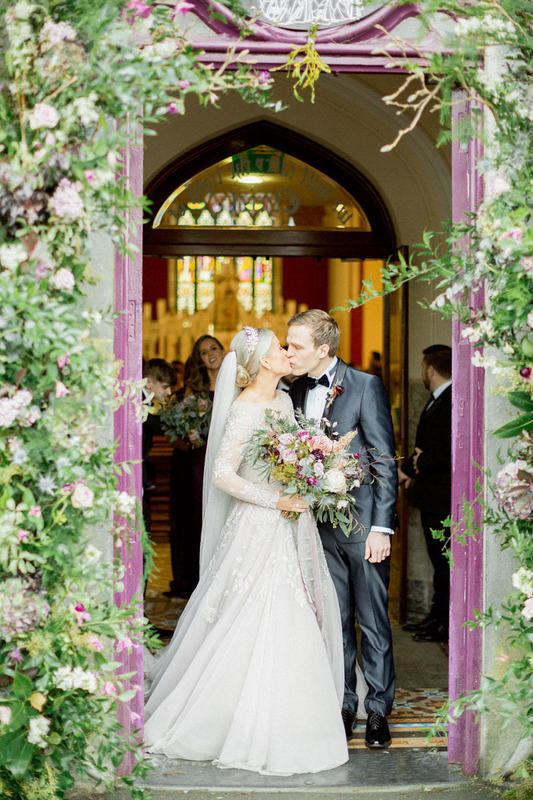 We designed this breathtaking floral arch for the doorway to the ceremony at St.Brendan’s Church in Birr, to tie in with the decor of the venue and the bride and groom’s colour scheme, creating an incredibly romantic entrance for friends and family and a picture perfect backdrop for the happy couple! We designed and styled this beautiful dining area using crisp and stylish dubois dove-grey tablecloths and napkins that contrasted beautifully with our striking gold charger plates and gold-rimmed glassware. 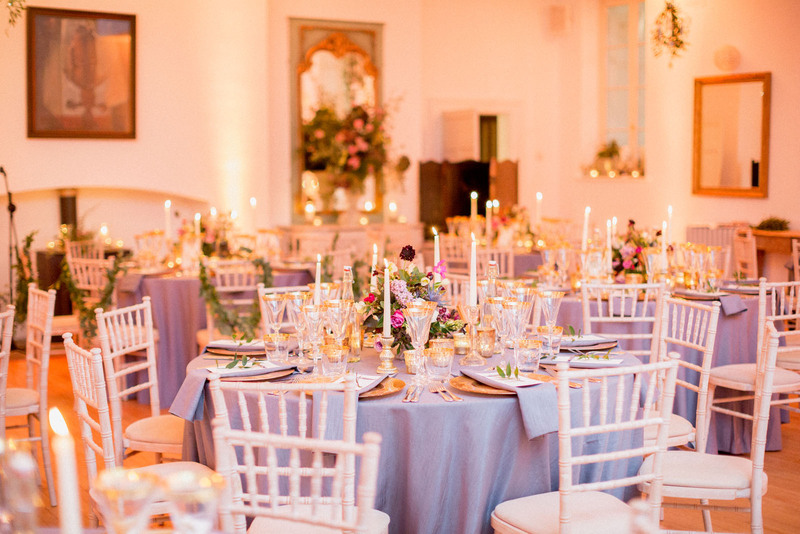 A stylish mix of tapered candle holders and glistening tea light votives were dotted around and created the most whimsical candlelit glow, creating a relaxed and magical atmosphere for family and friends. 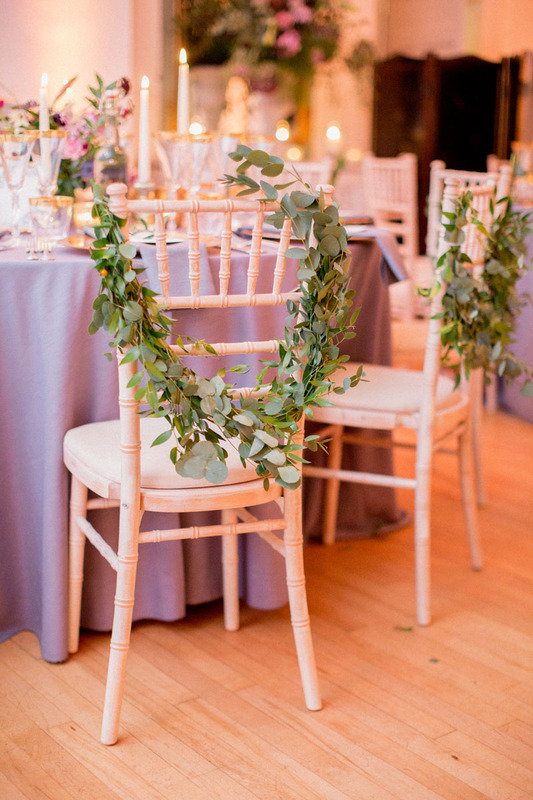 We dressed these stunning chiavari chairs with hand made foliage arrangements that added to the organic and light atmosphere of the room and complimented the beautiful floral centrepieces and the foliage accents used to dress the menus. 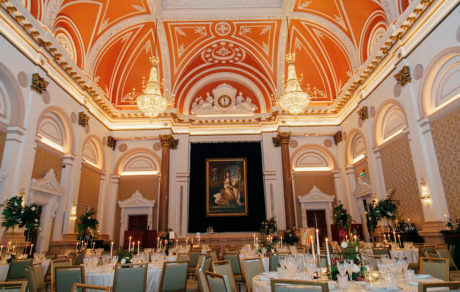 No detail is overlooked when transforming each space and bringing the bride and groom’s style and vision to life. 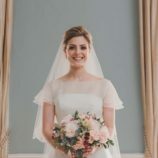 We poured lots of love and attention to detail into this incredible bouquet for the beautiful bride Rachael. Keeping in mind the the bride and grooms vision and decor style, we created this soft, wild arrangement in which every stunning muted shade leads effortlessly on to the next.